Caruso’s Coffee was formed by Mike Caruso and his three sons, Dominic, Michael and Paul in 2003. This company represents Mike’s second adventure in the coffee industry. Mike Sr. has been roasting and blending specialty coffees in Northeast Ohio since 1982 and is highly regarded within the industry as an expert in the field. We source the finest Arabica coffee beans from the most highly regarded growing regions and farms from around the world. These beans are custom roasted to order, packaged same day and shipped within 24 hours of roasting. Our company has grown into one of the largest specialty coffee roasters in the Midwest on the back bone of our reputation for the quality, freshness, and unmatched customer service. Our Cleveland roots have given us a blue collar work ethic and appreciation for creating consistently outstanding coffees our customers have come to appreciate and expect. We strive daily to ensure our customers receive the knowledge, training, and quality products necessary to succeed profitably in the competitive and growing world of specialty coffee and teas. 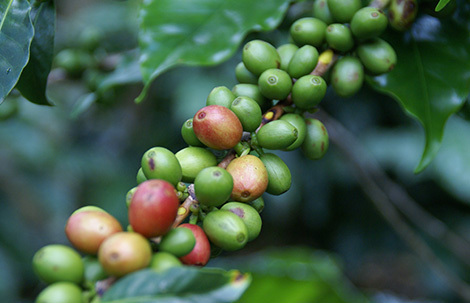 We source Arabica beans from each of the world’s major growing regions with a focus on the single origins most highly regarded for the quality and unique characteristics of their coffees. Along with our extensive selection of conventional coffees, we also roast and blend a wide assortment of Fair Trade Organic Coffees. 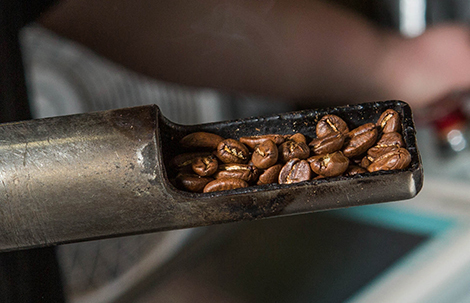 Our roasting facility is certified organic by OCIA (Organic Crop Improvement Association) International. Our roastery is also Kosher Certified by OK Kosher and we are SQF Level 2 certified. We ship our coffee throughout the United States and overseas. We roast our coffees separately by origin and type. 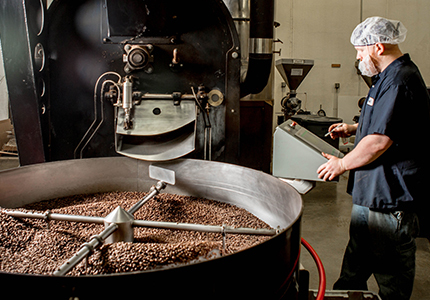 Full City roast, taking the coffee into the second crack, is our standard and most popular roast. We also roast Viennese, French and Italian each of which gets progressively darker. Light roast is available upon request. When blending, we combine the beans after they've cooled in a large mixer and spin them to ensure the different varieties and in many cases different roast profiles get fully integrated. Similar to the approach a fine wine maker uses when blending, we want to make sure each component is contributing distinctive and desirable characteristics to the blend. We specialize in helping our customers develop and maintain exclusive blend recipes that distinguish their coffee shops and restaurants from the competition.